Today I was able to mix Harley and Spike Woot! 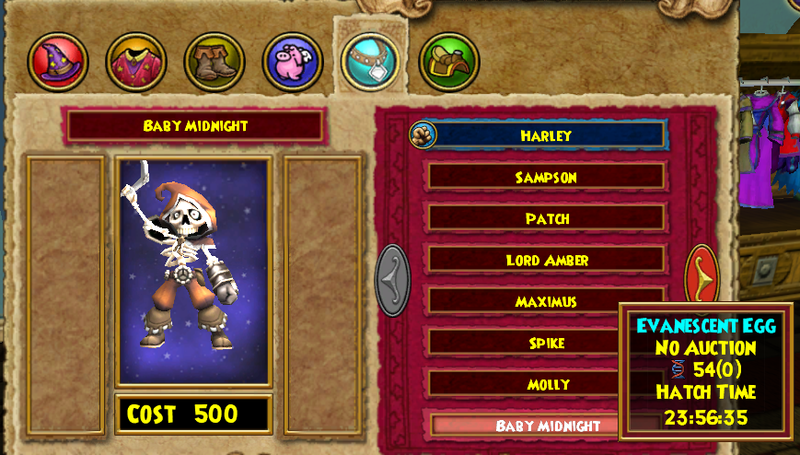 I got a new warrior Baby Midnight now this is where I am getting confused to my understanding these pets are suppose to mix stats correct?, yet I am getting the same stats over and over on the warrior. Same talents and traits as of yet. 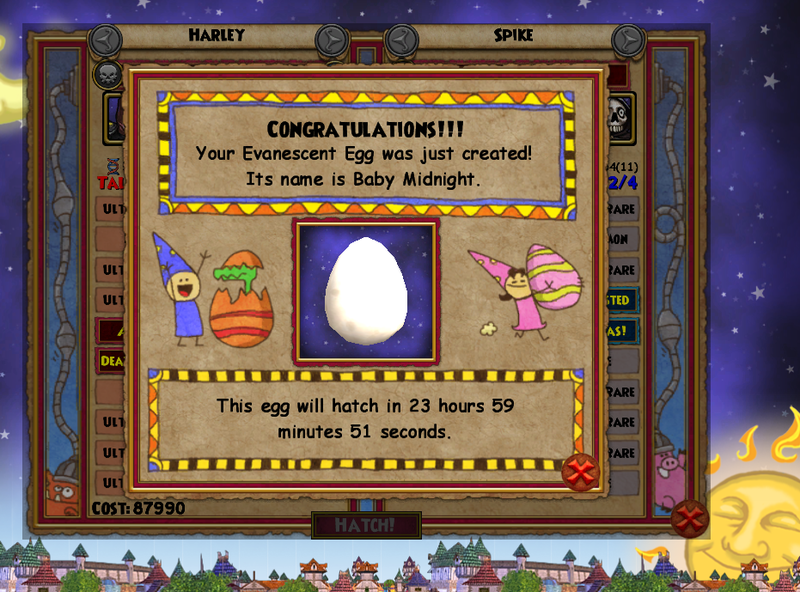 When mixing a Wraith with Spike I got a Wraith unable to equip it to my ice wizard I wont be able to train this pet so I'll have to wait until baby Midnight my newest Warrior pet Hatches to train to adult to see if he gets the same talents as Spike or a mix of Spike and Harley. I am hoping for a mix as this is what my understanding of pet hatching is? Please give me your thoughts and ideals.This quote was taken from the test realm notes on Wizard101 site. "The egg will take the appearance of one of the original pets, but the Traits & Powers will mix and match. Which pet and which traits...who can say? Once the egg has hatched, your new pet is just a baby, and needs to be trained and fed. So I need input ;) to help me understand if I am doing this wrong? Until next time. I don't really know, I'm not watching the stats really closely. But I do know that on Ravenwood Radio some KI workers, talked about the pet system and they said, "Pet abilities are tend towards the weaker pet."